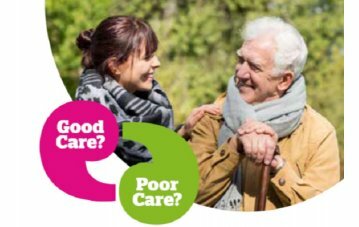 Derbsyhire Healthwatch want to hear from carers in the county about how they feel they could be better supported in the role of family carer in relation to health and social care services. A family carer is someone who provides unpaid support to a family member or friend who could not manage without that help. Carers play a vital role in supporting people who are frail, ill or disabled, but in doing so, they often become vulnerable themselves. In the next 20 years, it’s anticipated that over nine million people will become an unpaid carer and offer support for a loved one or friend. It’s vital that these carers get the help they need to look after themselves and others. Every comment counts - please get in touch!